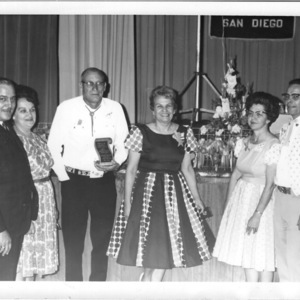 This set of pictures is from two clubs in San Diego, CA whose members were involved with two plants run by General Dynamics Corporation. 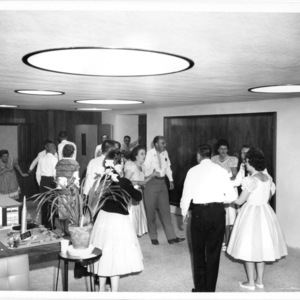 The timeline is late 1950’s through late 1960’s. 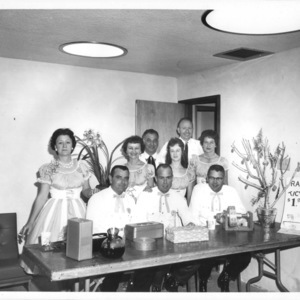 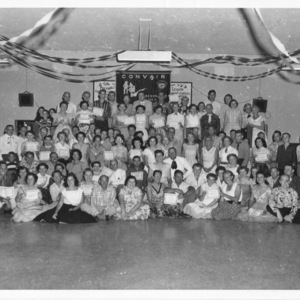 This was during a time when it was not uncommon for a square dance club to be formed from the employees of a particular company, industry, or factory – many times through the blessing and support of the company’s management. 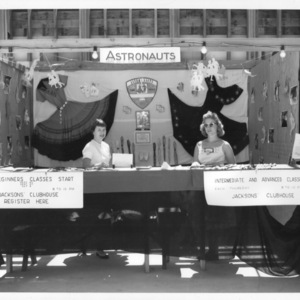 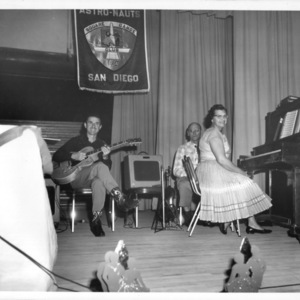 One club was the Astro-Nauts, formed later out of the General Dynamics Astronautics plant in the Kearney Mesa area of San Diego. 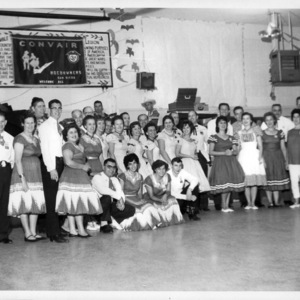 Both of the clubs mentioned were run under the Convair Recreation Association (CRA). 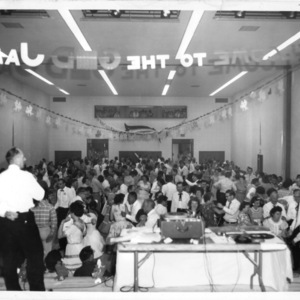 The CRA built recreational facilities on the lot of the Astronautics plant and named it Missile Park, as this factory built the early Atlas rocket. 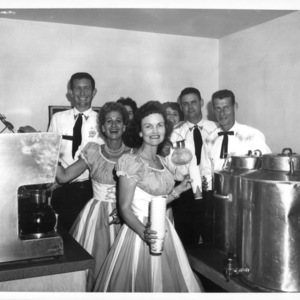 The amenities at Missile Park included a health fitness center and meeting rooms, picnic facilities, a lighted track, softball and multi-purpose fields, tennis and volleyball courts, a Merry-Go-Round, an antique fire engine, a miniature railroad which encircles the park, an atlas missile standing upright, and a 19,000 square foot clubhouse which included a large hall built primarily for square dancing. 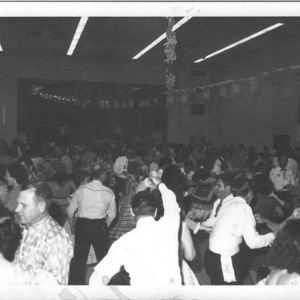 It contained a wood floor that floated on a layer of tires. 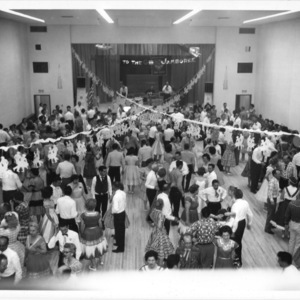 The pictures displayed here are from an early dance held at the hall in the late 1950’s or early 1960’s. 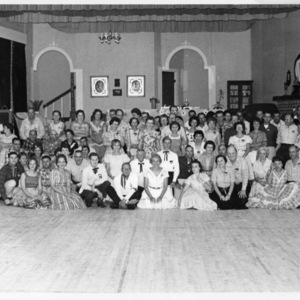 It seems to be a dance that brought together dancers from other CRA clubs from plants throughout the Southern California area. 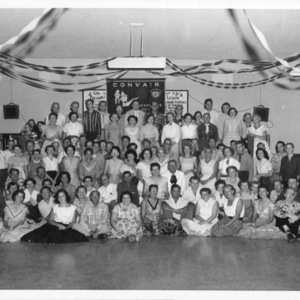 The other club (starting with #18)was the Convair Hoedowners, composed of employees of Convair Aircraft, located near Lindbergh field in downtown San Diego. 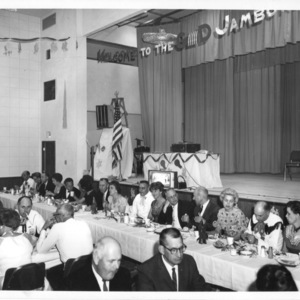 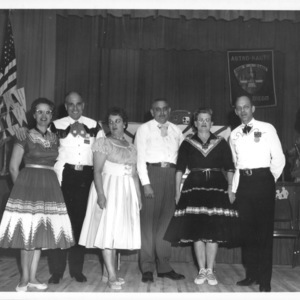 It appears that most of these pictures were taken at the American Legion Hall in San Diego. 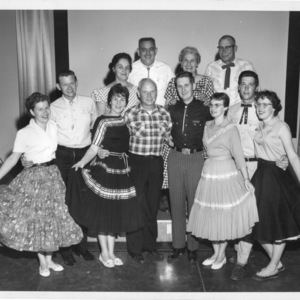 We think the two clubs merged at some point to form the “Dynamic 8’s,” who danced at the facility until the 1990’s when General Dynamics closed the plant and sold the land. 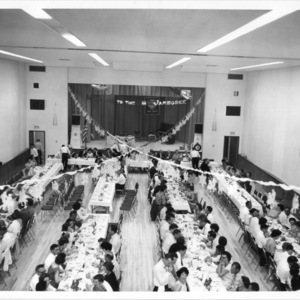 The hall and other facilities were torn down. 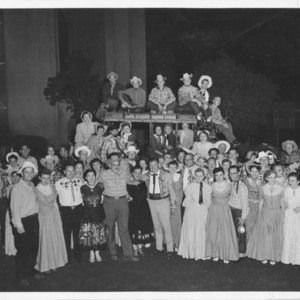 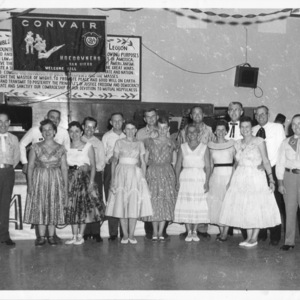 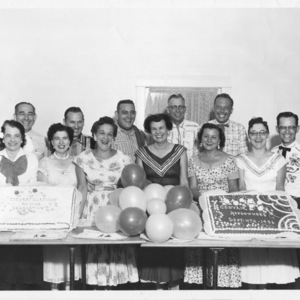 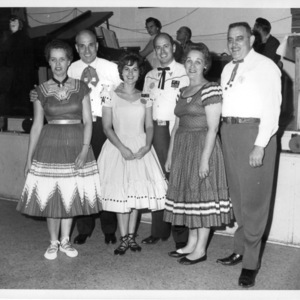 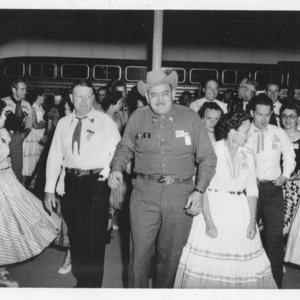 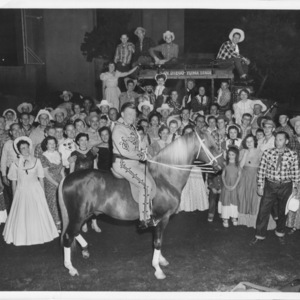 “Astro-Nauts and Convair Hoedowners,” Square Dance History Project, accessed April 24, 2019, http://squaredancehistory.org/items/show/1734.